In a series of September 14th, 2018 submissions, Rogers, Bell and Telus each claimed that the interventions filed by members of the general public — as well as concerned citizens and current and former telecom employees — show that there isn’t a systemic problem with sales practices. “The record does not reveal a systemic problem with sales practices,” reads an excerpt from Vancouver-based national telecom service provider Telus’s submission document. 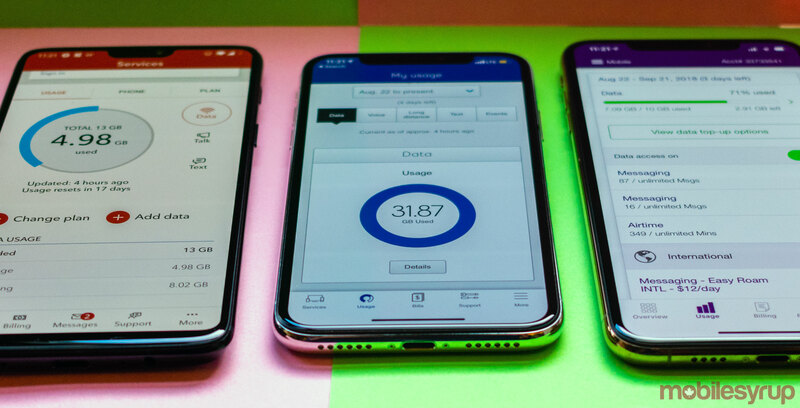 Instead, each carrier reaffirmed their previously stated beliefs that Canada’s existing consumer advocacy framework — a combination of legislative protection, the Commission for Complaints for Telecom-Television Services (CCTS) and individual telco complaints departments — are enough to tackle issues faced by consumers. Interesting to note is that telecom service providers established a number of similar positions in an attempt to argue that the CRTC’s current investigation has yet to reveal a systemic problem. In Telus’s submission, for instance, the telecom pointed to the small pool of individual submissions to the CRTC as a means of demonstrating that the unsavoury sales practice issue isn’t as pervasive as previous reports might suggest. “The number of individual intervenors in this proceeding — assuming that all interventions are relevant and negative, which is not the case — represents less than 0.004 percent of Canadian wireless subscribers,” reads an excerpt from Telus’s submission. MobileSyrup spoke with Zainul Mawji, Telus’s vice president of home solutions and complementary channels, to discuss the carrier’s latest submission to the CRTC’s unsavoury telecom sales practices investigation. “What we define as systemic or not systemic could vary, but I think what we’re trying to point out is that out of those 1,300 comments, number one, not all of them were negative…secondly, as it relates to Telus specifically, just over six percent…pertains to Telus,” said Mawji. In her conversation with MobileSyrup, Mawji was also hesitant to suggest that Canadians need more legislation or regulation to protect them from unsavoury telecom sales practices. “We do feel strongly that there is no new regulation that is necessary, but we do recognize that with what’s been submitted, that there is likely some customer confusion as to where to seek redress,” said Mawji. Mawji also pointed out that misleading or aggressive sales practices are already illegal in Canada, according to a number of different rules that are already in place. “So when we’re seeking to identify and solve a particular challenge or potential challenge in the industry…we need to look at what regulation we already have that protects us,” explained Mawji. What’s notable is that Telus’s stance on a new code of conduct is counter to the position maintained by Rogers. In fact, Rogers specifically argued against interventions filed by the “[Fair Communications Sales Coalition (FCSC)], Telus Communications Inc….and a few other interveners” who filed submissions arguing that the Canadian telecommunications industry needs a new code of conduct. “In addition, the risk to the customer that is associated with an unethical salesperson in the securities and investment industry is profoundly greater than in the telecom and broadcasting industry,” reads an excerpt from Rogers’s submission. A Rogers spokesperson told MobileSyrup via email that the telco continues to be focused on ensuring customer satisfaction. “We put our customers’ needs first in everything we do – not only is that the right thing to do, but it is at the core of our business strategy to develop and maintain positive long-term relationships,” Rogers told MobileSyrup. The CRTC’s formal unsavoury telecom sales practices hearing is set to take place on October 22nd, 2018. Once the hearing has concluded, groups have until November 9th, 2018 to file final submissions.